Are you bored in the evening or need help with schoolwork? Well, the website club have carefully selected a range of helpful websites to help you when you are stuck or simply bored! First off in our recommendations is Math Playground and Woodlands Maths games! These websites have proven to be very helpful for a member of our group. These Websites are very useful and have a wide range of math games for you to enjoy! Next in our list we have BBC History and History for kids! 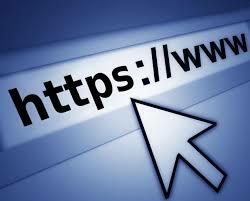 These websites are very useful and have plenty of facts on famous events in history for your homework or to simply look at and enjoy! Moving onto the next website, we have Love Reading For Kids! This website is extremely helpful for finding a good book for yourself! If you don't have a good book to read, this website can help you to find the perfect book for you to enjoy! If you have a creative mind or just like science, we have Science for kids! This website has a wide variety of fun science experiments and plenty of fun things to do when you are bored! ​Click on the coloured links above to view the website.